An intensive and interdisciplinary workshop for young researchers, NGOs and youth workers, and professionals is planned for 30/08-3/09/2018. It aims to provide knowledge, practical tools and skills which enable participants to understand the peculiarity of the refugee crisis and attitudes towards Muslims in the EU in general and Central and Eastern Europe (CEE) in particular. The workshop will be the first milestone of the ref:EU project (the second one is an international conference) and will be held in Warsaw in Poland. Public speaking, the art of discussion and rhetoric, so that one can effectively use the knowledge and skills gained in 1–3 (above) in public. The workshop will be conducted by experts in Islamic studies (1), migration, politics and international relations (2), Islam in Europe, sociology and psychology (3), media and rhetoric (4). We plan to cover accommodation expenses and at least partly travel costs of participants. There will be no fee for participation. However, each participant will be obliged to conduct at least one follow up event in his/her local community linked to the topic of the workshop to increase the number of the beneficiaries of our workshop project. Follow up events, together with local events planned across Poland by ref:EU project team, constitute the bulk of dissemination activities aimed at wider public. The draft programme is avaiable on a separate webpage. The list of participants is available on a separate webpage. There are in total 31 participants representing 17 nationalities and coming from 17 (slightly different) countries. Janusz Danecki – a full professor at the Department of Arabic and Islamic Studies, Oriental Faculty, the University of Warsaw since 1989. He specializes in Arabic linguistics and Islam, especially Islam in the Arab World and published several books which became the milestones in Polish Arabic and Islamic studies including Słownik arabsko-polski (1996, with J. Kozłowska, [Arabic-Polish Dictionary]), Gramatyka języka arabskiego (1994, [Grammar of Arabic language]), and Podstawowe wiadomości o islamie (1997, [Basic information about Islam]). He also translates Arabic literature into Polish, as well as academic publications from European languages. 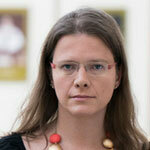 Katarzyna Górak-Sosnowska – head of ref:EU project and associate professor at the Department of Political Studies at the Warsaw School of Economics. Apart from academic work, she has been actively engaged for over a decade in non-formal education as a trainer, mostly around the Polish National Commission for UNESCO project In the world of Islam (a series of workshops for students and later teachers across Poland). She also initiated and developed a variety of teaching materials for intercultural education including [in Polish]: World languages. Key to dialogue (2008), Faces of Orient – educational toolkit (2009). She was involved in preparation of the OSCE Guidelines for Educators on Countering Intolerance against Muslims in education (2012). 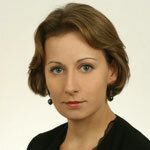 Joanna Grzymała-Moszczyńska – a psychologist, diversity trainer, and Ph.D. candidate in Psychology at the Jagiellonian University in Cracow. Since 2010 she has been working as a diversity trainer in the field of intercultural relations for numerous institutions, such as the Polish National Commission for UNESCO, Centre for the Development of Education and Polish Academy of Arts and Sciences. Currently she is engaged in a research project on psychological interventions aimed at reducing prejudice against refugees. 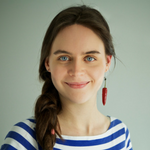 Marta Pachocka – an assistant professor at the Department of Political Studies of Collegium of Socio-Economics, Warsaw School of Economics and researcher & assistant professor at the Centre of Migration Research of the University of Warsaw. Involved in many national and international projects devoted to migration and integration related issues. Her main research interests are socio-demographic changes in Europe/EU; Europe/EU and international migration; EU policy on migration and asylum; immigration policy and integration policy in France. More details: eu/en/about-me. Đermana Šeta – (@DjermanaSeta) is OSCE ODIHR Adviser on Combating Intolerance and Discrimination against Muslims. Previously she worked at the Institute for Islamic tradition of Bosniaks and Gender Mainstreaming Program of the Islamic Community in B&H. She served as Head of the Freedom of Religion Commission of the Islamic Community in B&H, a fellow at the Center for Advanced Studies and Center for Education and Research Nahla. 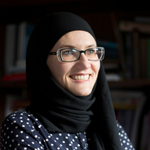 She holds a BA in English language and literature, MA in Religious Studies from Center for Interdisciplinary Postgraduate Studies, University of Sarajevo (in cooperation with Arizona State University, University of Oslo and University of Copenhagen) and is currently preparing her PhD thesis on intersectionality in Muslim women experiences in socialist and post-socialist Bosnia and Herzegovina, Sociology Department, Faculty of Political Studies, Sarajevo. [Credit for the photo: Aida Redzepagic]. 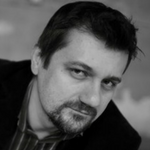 Jacek Wasilewski – is a professor at Department of Journalism, University of Warsaw. He conducted a variety of practical projects in fields of communication for public institutions, NGOs, and firms. He specializes in analyses of persuasive discourse, argumentative techniques, ways of media stories perception and attitudes toward issues biased by media. 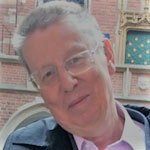 He was a consultant in the field of argumentation, tonality and storytelling in many social and commercial campaigns. He has published extensively in the field of media, argumentation and rhetoric.